Clicking on a link below opens a new web page. Close that web page to return to this page. 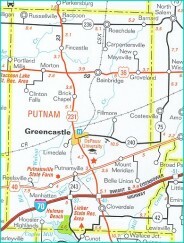 WorkOne Western Indiana is the leading provider of employment opportunities in Putnam County and west-central Indiana. Persons seeking employment can obtain free assistance with skills evaluation, resume writing, interviewing techniques, and job search skills. Candidates can search opportunities in Indiana Career Connect at no charge. Candidates can also post their resumes and skill sets in the Indiana Career Connect database. WorkOne Western Indiana is part of the statewide WorkOne system. Candidates can research employment opportunities throughout the state through WorkOne Western Indiana, including all neighboring counties and metropolitan Indianapolis. Indiana Career Connect is the number one source of job openings in the State of Indiana. Candidates can find a career close to home or around the state that matches one’s skills and experience. Candidates can also explore training opportunties to help secure desired employment choices. Indianapolis Star – click on the “Jobs” tab on the site. POET Biorefining – Cloverdale – Click on “Cloverdale” in the right hand column.